Last weekend was our last weekend before I unofficially went back to work and we wanted to go out with a bang. So, we pulled out the RV camper in the backyard and loaded it onto the truck and took off to Carpenteria, a beach town close to Santa Barbara. It was Kanan’s first time going out in the camper and calling it home for 3 days. He did amazingly well as always. He is such the traveler! He slept for his naps fairly well up on the big bed above the cab of the truck despite the fact that Mike and I were cooking or playing cards just a couple feet away from him. He also slept with us at night on the bed and we tried not to move around too much or else wake him up. We met up with our friends Lisa and Jeremy and their son Nolan as well as the rest of their relatives as they were also camping at the state beach there. 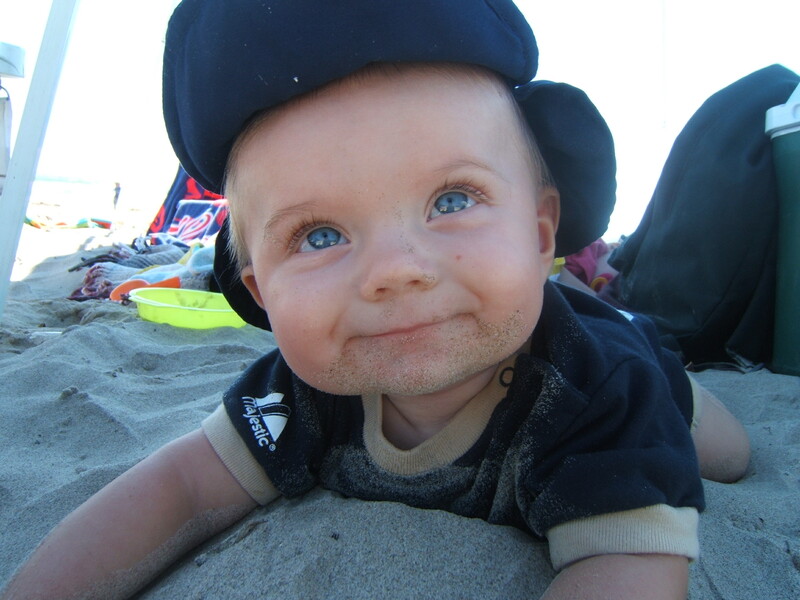 Kanan loved the beach of course and discovered the sand. I took a great video of him first discovering the sand. I layed him right onto it and just let him discover. I’m so happy I did! Check out the videos and the pictures! A couple of weeks ago, my cousin Breanna and her husband Steve had their second baby! His name is Joseph Ryan and he looks just like his dad! I went up to visit him when he was just a few days old and he was just the tiniest thing. He weighed about one pound less than Kanan when Kanan was born, and it made such a big difference. 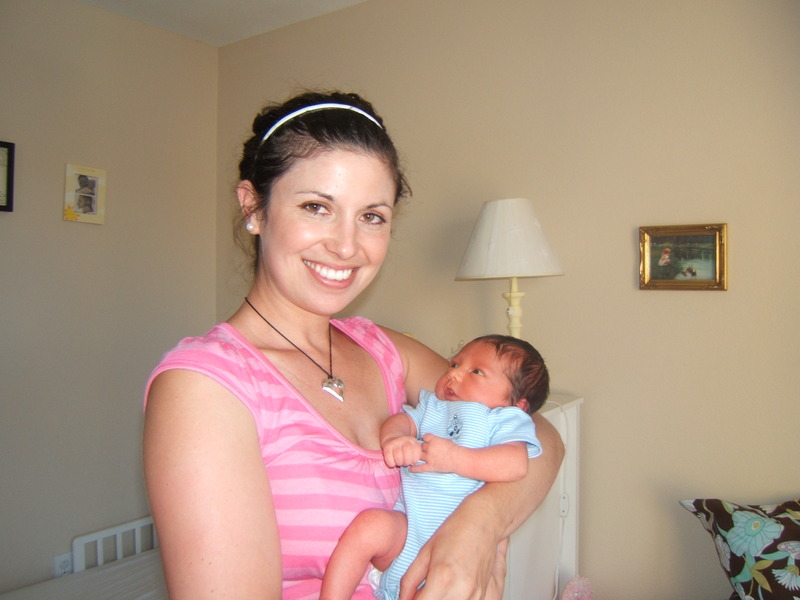 Still, I don’t remember Kanan even being close to that small, but I think it is because by the time he was two weeks old, he weighed 10 lbs! I did go back to work this week and it took a couple of days for both Kanan and I to adjust to our new routine. He prefers to just play with his dad and gets so excited by him that he has a difficult time just settling down and eating when Mike tries to feed him. Hopefully, he will adjust to that change too. I don’t think it has clicked yet that I’m a working mom because while I returned to work this week, I wasn’t actually teaching, but going to school meetings and setting up my classroom. I think once I’m in full teaching mode, reality will really set in. I just hope I don’t break down crying by Wednesday like I think I will do. I loved the video where he is sucking his lips and moving his toung all around. He is such a doll. I cant wait to see you guys again. I have so caught up in my own world working and doing motorcycle stuff it is crazy. When can I see the little man and my beautiful sister?? I love you guys.